Who will win at the Oscars? Here are our predictions – share yours in the comments! Yesterday afternoon, a mysterious network known as The Academy assembled to announce the films they’ve deemed worthy of winning a little gold statue of a man. The world, naturally, waited with baited breath. There were actually very few surprises, with only the shocking exclusion of the brilliant Lego Movie in the Best Animated Movie category causing any outrage. Apart from that, things were more or less as we expected. Here’s the full list of nominees in the major categories, as well as our predictions. Unlike previous years, pretty much every film in this category would be worthy of winning the award. 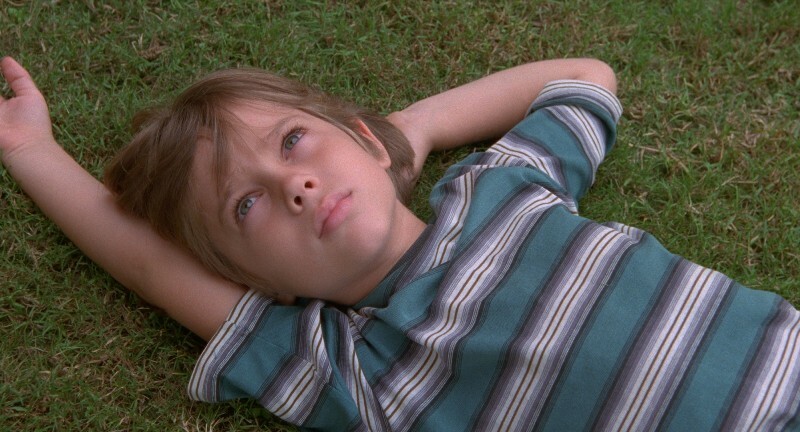 The sheer ambition of the Boyhood project, which was filmed over 12 years, and the stunning results should see it take home the gold, although The Grand Budapest Hotel and Birdman should run it close. Well, would you look at that? Two British nominees! It’s also Bradley Cooper’s 3rd consecutive nomination for an acting Oscar, which is amazing considering a few years ago he was best known as ‘the good looking one from The Hangover’. Interestingly, 4 of the actors played ‘real-life’ roles with only Michael Keaton playing an entirely fictional character. Keaton and Redmayne won the main acting awards at the Golden Globes, although we reckon Redmayne’s incredible performance as Stephen Hawking should win him the award. Amy Adams and Jennifer Aniston are the notable omissions from this list, although no-one can argue with the quality of the performances on this list. Our own national bias means we’d quite like Felicity Jones to win for her performance in The Theory of Everything, but Julianne Moore is the obvious choice: she’s pretty amazing in Still Alice and her previous nominations have all ended in defeat. Surely it’s time she won something?! Another strong field of candidates, with Robert Duvall the oldest ever Supporting Actor nominee at 84, but J.K. Simmons is the obvious choice for his part-inspiring/part-terrifying performance as drum teacher Fletcher in Whiplash. Edward Norton would be a good choice for his hilariously obnoxious performance in Birdman too. Patricia Arquette is likely to take home the big prize for her performance as single mother Olivia in Boyhood, although we wouldn’t count out Laura Dern for Wild and Emma Stone for her slightly-unhinged performance in Birdman. We’ve got our fingers crossed for Keira Knightley though. Surprisingly, this is the most controversial category at this year’s Oscars due to the omission of The Lego Movie, which was last year’s best animated film by a country mile. Perhaps the close association with a product did for its chances, but it’s a shame that such a great film is missing out on recognition. Of the rest of the field, Disney’s Big Hero 6 is most likely to win. It’s not out in this country yet, but this Avengers-for-kids type film has been getting great reviews Stateside. This seems like a straight shootout between two of the best American directors in recent history, neither of whom have won an Oscar before. Linklater is the bookie’s favourite for the unique Boyhood, although we’re inclined to think the Academy might finally recognise Anderson’s equally unique style for The Grand Budapest Hotel. However, Birdman’s Alejandro G. Inarritu is definitely a dark horse. He created the illusion of a single take in Birdman through some very clever editing, which gave the film a striking tone and may just win him the big prize. Share your Oscar predictions with us in the comments. And if you haven’t seen any of the films in this post yet, sell some DVDs and treat yourself to a couple of nights at the cinema!